Watch the video above as BourbonBlog.com‘s Tom Fischer interviews Ole Smoky Moonshine Distillery founder Joe Baker. Baker tells us that Ole Smoky will release new expressions of their flavored shines at 80 proof (40% ABV). 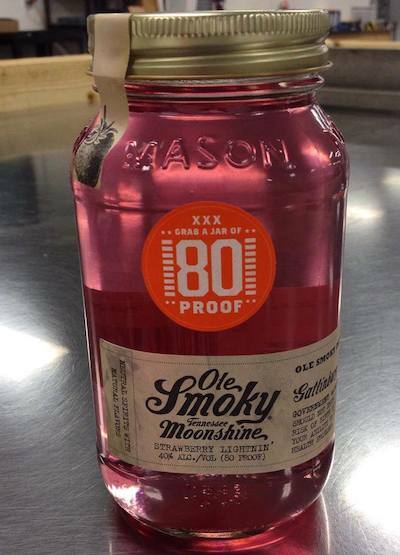 The first flavors to be released at 80 proof under the “Lightnin” label will be Hunch Punch, Strawberry and Lemon Drop. Ole Smoky’s current moonshine flavors are bottled (or “jarred”) at 40 proof (20% ABV). Sweet Tea and Watermelon Moonshine flavors were recently released for summer 2014. Ole Smoky’s other flavors available year-round include Apple Pie, Blackberry, Peach, Pineapple and Moonshine Cherries. Baker discusses the success of their distillery and the Original Ole Smoky Moonshine unaged corn whiskey made from a 10 year-old family recipe. For more updates, subscribe to our newsletter on this link. Interview filmed on the banks of the Little Pigeon River near Gatlinburg, Tennessee.